RAJINIKANTH'S 2.0 GETS A HUGE PARTNER! After all the Kaala craze, Rajinikanth's 2.0 is back in the news. The producer, Raju Mahalingam of Lyca Productions has tweeted about a major collaboration that the 2.0 team has acquired. The tweet read, ''Lyca's commitment to entertain Indian audience is manifested more strongly by our tie up for multiplexes with PVR !!''. 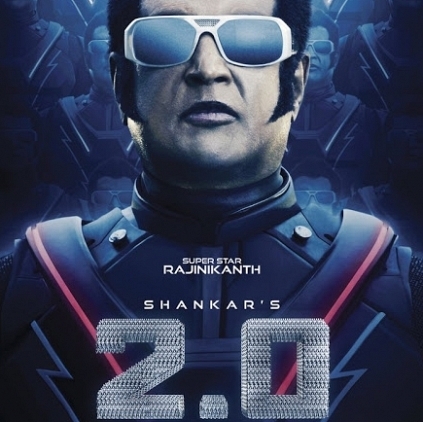 By this, we infer that PVR Cinemas will be the official multiplex partner for Shankar's next, 2.0. PVR is known as a large brand pan-India and having this chain of theaters as a partner would help a great deal with regard to promotions for this mega budget film. Breaking: Shruti Haasan out of magnum opus Sangamithra! People looking for online information on 2.0, PVR Cinemas, Rajinikanth will find this news story useful.